JOIN ALEYA FOR A POWERFUL & TRANSFORMATIVE LIVE ENERGY-BALANCING SESSION by phone or internet. Every 3 weeks Aleya offers the TALL Cups of Consciousness - A 1-hour live video session where she tunes into the group's energetic fields and the "energetic weather" coming onto the planet. Using protocols based on the Seven Principles along with sound healing, Aleya assists you in shifting your own energetic fields. Working with your energetic fields in the higher realms in turn shifts your reality here into a more balanced and healthy state. You will also receive coaching on essential issues to positively influence your awareness, understanding, and effective use of her teachings. LISTEN & ALLOW FOR THE WORK TO BE DONE IN THE HIGHER REALMS. Aleya guides you through energetic protocols for shifting, healing, and clearing particular issues, blocks, and patterns so you may live a more peaceful life and actualize your greatest potential. A live and recorded video-tele conference call session. Energy balancing session. Shift your energetic fields and transform your consciousness and life. For your optimal support, sessions are scheduled every 3 weeks. You can join by phone or live-stream video and chat room. Prior to the session you will receive an e-mail with detailed instructions on accessing the session. You have the opportunity to e-mail Aleya your personal areas you wish to work on. Also, if you have questions or would like to interact with Aleya and others before and after the session, join by live-stream video and post your comments in the Interactive Chat Room. Sessions are recorded and available for download. Video and audio recordings as well as a transcript are available after the session to access online or download. There are many "energetic layers" to every session. You can listen once or many times. Each time you listen you address a different layer. These sessions are often both "timely" and "timeless" - you can use them for greater energetic support as you feel guided. FOR OCCASIONAL DEEP ENERGETIC WORK join Aleya and purchase individual TALL Cups of Consciousness sessions for $18 or you can purchase a subscription of recurring sessions @ $15/ea. 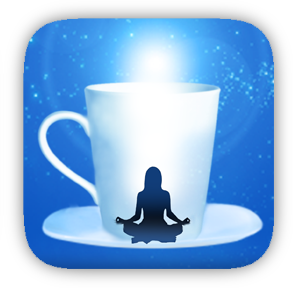 FOR DAILY ENERGETIC BALANCING & SUPPORT, Aleya offers the Daily Cups of Consciousness. Each weekday Aleya tunes into the energetic weather that is coming onto the planet and shares with you a 7-minute audio meditation that helps you shift, balance, and harmonize your energetic fields in preparation for your day. IF YOU NEED A DOUBLE-SHOT purchase the Daily Cups & TALL Cups of Consciousness at a special package-price. ADDITIONAL SUPPORT: Free Meditations, Energetic Forecasts, Conscious Conversations, and more. "Your meditations are so in sync with my moods and self-perceived obstacles! I am so grateful for your daily meditations. Linking up with you has been a significant moment in my life and spiritual evolution. Your daily meditations have been a calming, cleansing and healing aspect of my day for quite a few months now. "These meditations are the miracle I have been waiting for." ~ A.K. People who have been doing the daily meditations for a few months report that their life has become easier, more abundant, happier, and more conscious.